These stunning shorts from Mayoral are undoubtedly one of the most beautiful pieces in the SS17 collection. 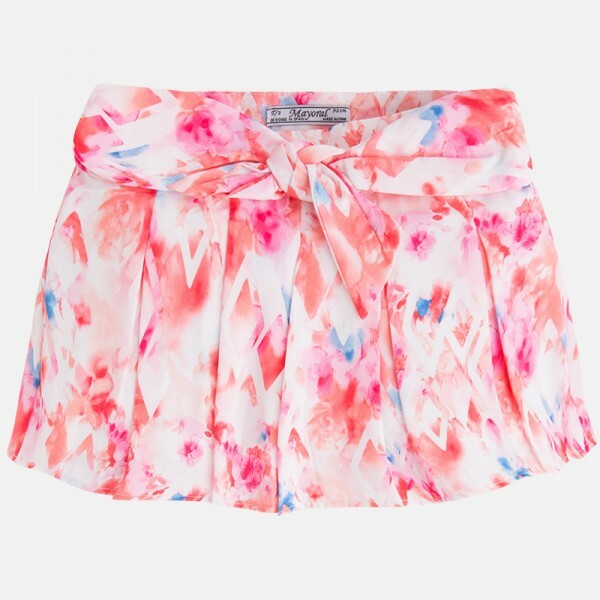 Made in quality patterned pleated batiste, an adjustable waist and a fixed belt at the front that ties into bow, they're a must have item for any little fashionista's summer wardrobe. They're a fantastic colour for the softer, brighter tones of the warm weather.